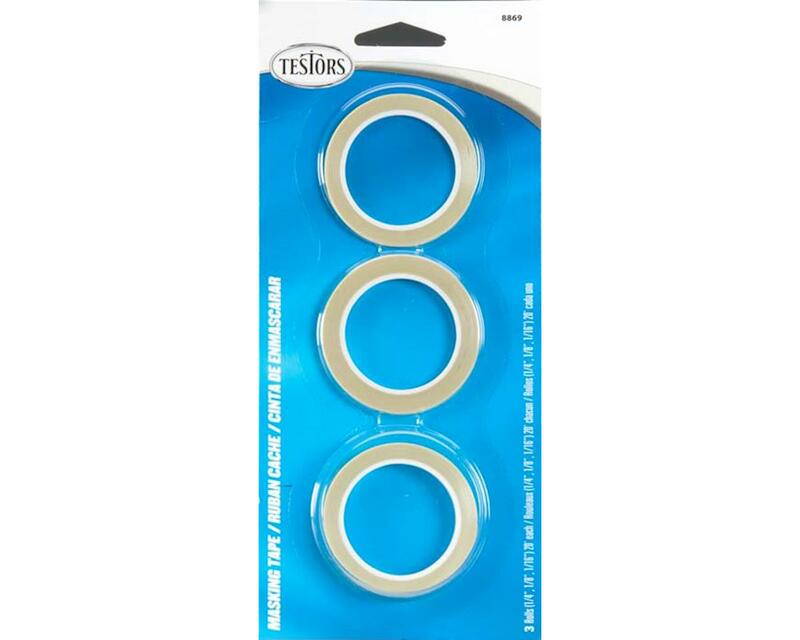 This is a 3-pack Assortment of Testors Masking Tape, including one roll of each size: 1/16", 1/8" and 1/4". 20' on each roll of tape. Use on RC cars, model planes, rockets, boats, plastic mode kits and more. Thin film prevents edge buildup.